Selamat Hari Raya to all Muslims friends. 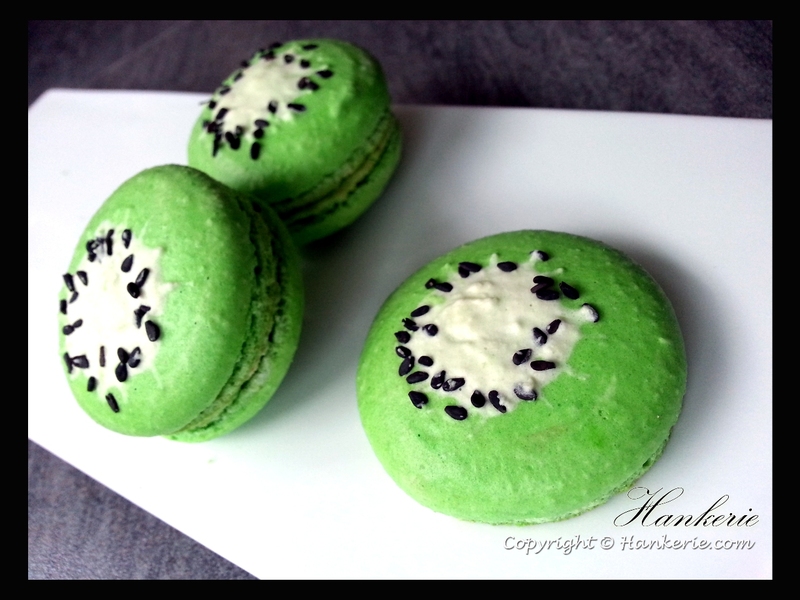 In conjunction of Raya & my 8th day Kiwi Challenge, I've made these green kiwi macaron to celebrate this great festival. 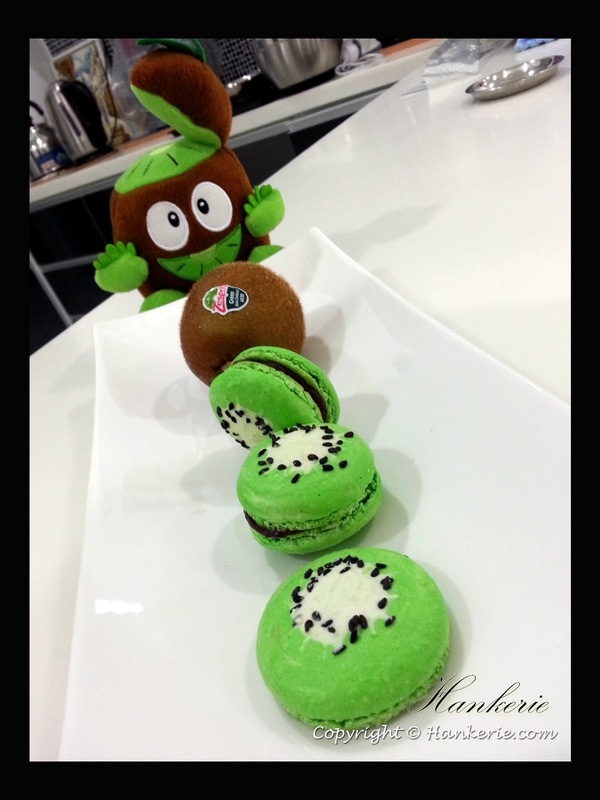 My idea inspiration came from Zespri green kiwi, when cutting the kiwi into half, you will get this visual. From the lighter greenish in the middle and surrounded with black seeds, that's how the green kiwi flesh looks like. 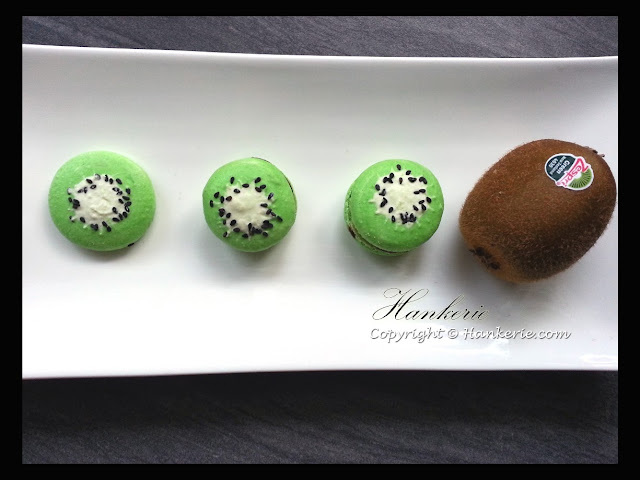 This inspired me to make them onto my Kiwi Macaron, not only looks like green kiwi but also taste like kiwi flesh at the middle of chocolate ganache. Here you go, another great Kiwi recipe in Macaron. Trust me, definitely you will not feel so sweet when finish this macaron. Beat the egg white with mixer. When they start to stiffen, gradually add the superfine sugar, beating constantly. Add the edible green colour. Fill the mixture into piping bag and pipe into green circle. Sprinkle some black sesame in the middle. 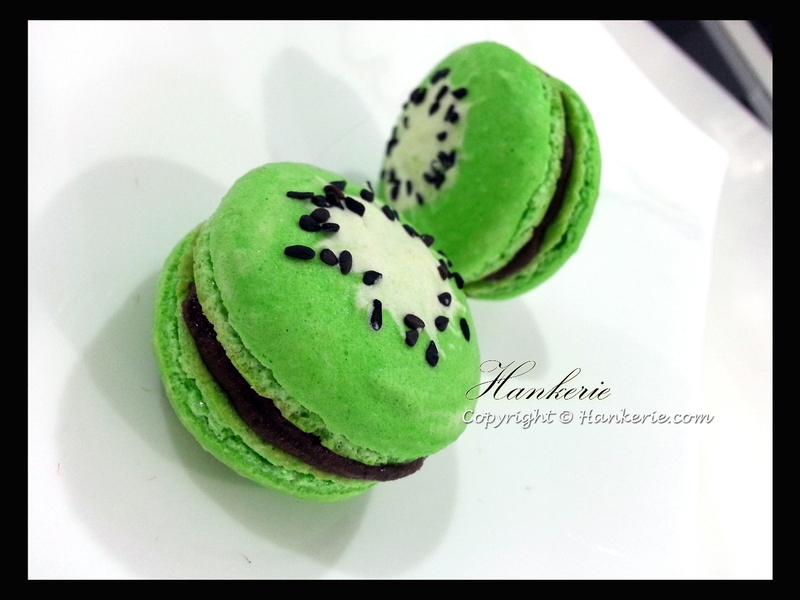 Assemble them with filling the kiwi fresh cream at the middle and chocolate ganache around the macaron shell.